A few months ago we showed a simple way to add quiet and active cooling to a Supermciro X10SDV system with a passive cooler. You can see our Near silent powerhouse: Making a quieter MicroLab platform post there. There are quite a few Frankenstein-esque solutions we have seen including adding fan adapters which do not allow for proper static pressure. Today we have a quick guide to accessing a larger selection of copper coolers for the Supermicro X10SDV Xeon D platforms. This will include some solutions for larger chassis (e.g. 2U chassis) and we are focusing on copper heatsinks for better thermals. We wanted to start this post off with a warning: this will likely void your warranty if you damage your system. Furthermore, since the Xeon D package is a BGA package affixed to the motherboard, you will risk rendering your expensive motherboard and processor unusable, especially if you fail to tighten properly. This modification will be extremely easy to see for anyone checking motherboards for warranty returns so you will need to accept that as a risk before proceeding. The stock Supermciro X10SDV heatsink uses a 51mm mounting pattern that is common for some other solutions. Supermicro does use a custom thread pattern and hole size on its backplate so there are few off-the-shelf solutions that will simply screw in as an upgrade. Instead, we are using 51mm cooling solutions for other low-power embedded processors. We have only tried three aftermarket solutions thus far, one from Dynatron and two from Cooljag. All three solutions will require replacing the backplate so that you can secure them to the motherboard. The Dynatron i2 is a $18 cooler that is designed for mobile Core i3, i5 and i7 processors. It features a copper heatsink with a mounting plate for the 5000rpm fan. The onboard fan is a 3-pin unit, which means the Supermicro firmware cannot utilize PWM for fan control. It is designed for chips with TDP of up to 45w. The low cost makes it an appealing option. Given its cost, this is a very attractive offering. 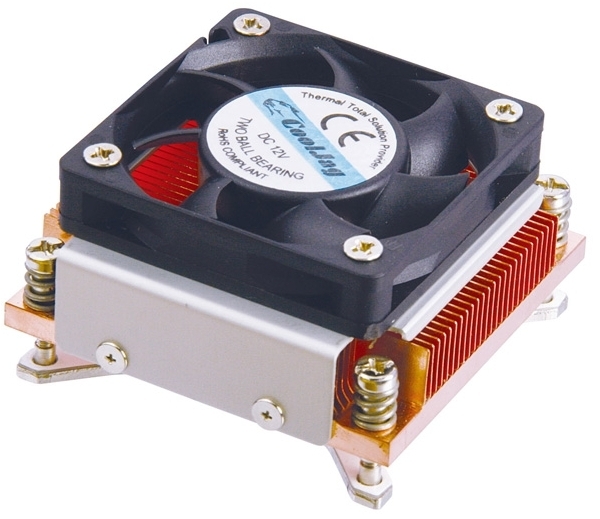 The Cooljag BUF-A 1U active heatsink/ fan generally sells for around $30-40 shipped. Cooljag BUF-E 2U passive heatsink $45-55 shipped. Note that you will need to have airflow over this all copper unit. It will also not fit into small 1U cases. There are a number of other solutions that will fit this 51mm form factor but they are all significantly more difficult to find due to low volumes. Having a platform that is not deployed for two weeks awaiting a heatsink is not an optimal situation so we focused instead on quickly available options. You will also note that when performing this type of upgrade you will need to have an ESD safe setup as there is significant risk to the motherboard/ processor from static discharge. Unscrew and remove the stock heatsink. Note that you may need to heat the stock setup in order to soften the thermal interface removal and that pushing too hard may cause motherboard damage. Remove the stock backplate. This involves loosening the existing backplate from the motherboard. There are PCB traces just under the backplate and around the mounting holes. You also need to support the motherboard so it does not flex and de-laminate. Install new backplate that comes with the new heatsink. Ensure you do not have metal on PCB which can cause shorting and damage the motherboard. Screw in the new heatsink with the proper heatsink fin orientation. You need to be careful to tighten appropriately and alternate heatsink screws. The new heatsink solutions can be under tightened possibly causing not enough thermal transfer to take place. Conversely, over tightening the new cooling solution can damage the BGA, PCB or joints. 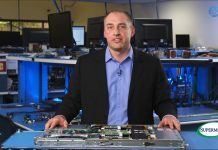 The overall impact is that each step has potential to damage the motherboard/ Broadwell-DE package. You will also want to be well grounded. In our video, we have an ESD mat work surface with a proper grounding. Although the process is easy, it is also very possible to damage your motherboard. Here is a quick video of the process. We did order new video gear for the next video since there is certainly a lot of room for improvement. 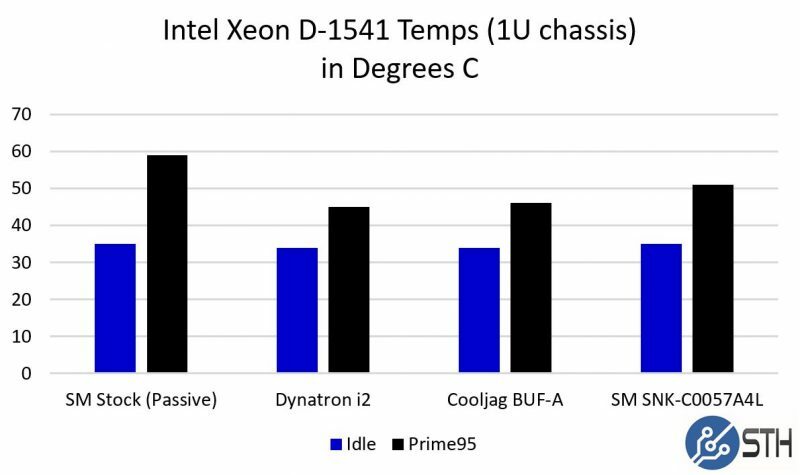 We are comparing the results to using a single 1U 40mm fan cooling a passive heatsink. If you are planning to use these motherboards in a chassis with insufficient airflow, we highly suggest buying a Supermicro X10SDV motherboard with active cooling. As you can see, the aftermarket copper offerings do cool better than the stock passive cooler or the active Supermicro SNK-C0057A4L cooler. They both can fit into 1U heights although in a 1U chassis we do recommend using passive coolers. In larger chassis, the Noctua mod is a good option and is the least risky option in terms of installation. 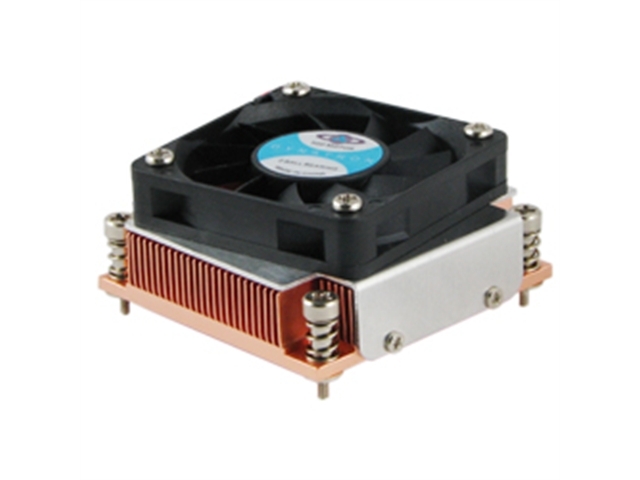 For those less adventurous, Supermicro does offer the SNK-C0057A4L active cooler. The company originally did not sell this separately but in early 2015 we suggested that it needs to be a standalone product. The unit has an active 4-pin PWM (Delta) fan and does not require removing the rear mounting brackets making it a significantly safer install. If you are looking for active cooling performance with little risk, that is still the option to get. For those who are more adventurous, there are other options available. For 2U platforms (with proper ducting) the all copper 2U passive Cooljag BUF-E is simply awesome. Again, each step of this process can cause damage to the motherboard/ CPU so only undertake these options if you are willing to risk your Supermicro X10SDV platform for better cooling. We have a number of STH members who have completed this mod. See this STH forum thread for more information or to ask questions. Next articleRacing Quad Intel Xeon E7 V3/ V4 systems – How much downtime does a reboot cause? 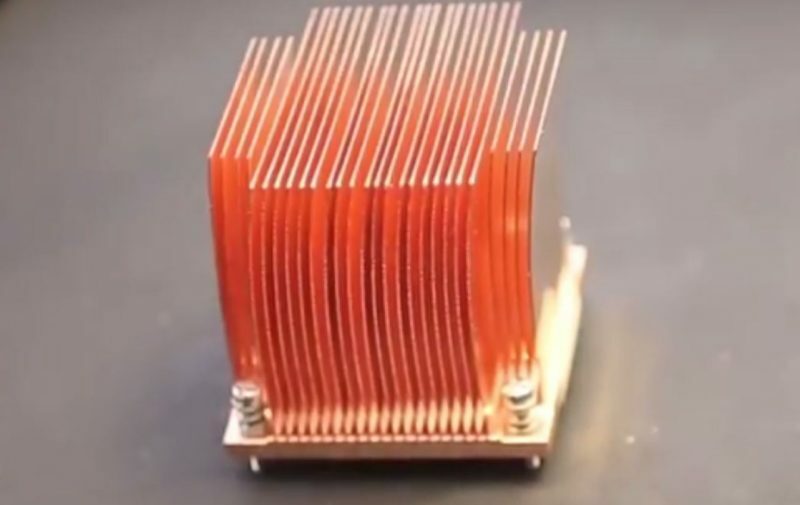 should’ve tried this with using the Noctua fan and these new copper coolers? So you could mount the SNK-C0057A4L fan on the X10SDV-7TP4F motherboard? Do you know where to find those? 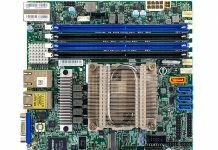 Something I’ve been confused about: you mentioned it’s possible to add active cooling to a Supermicro X10SDV motherboard that comes stock with passive cooling. But then the example you point to is your other article “Near silent powerhouse: Making a quieter MicroLab platform”, but that X10SDV-TLN4F motherboard comes with active cooling (which you show how to replace with a Noctua fan). 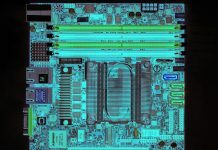 My question is: is the heatsink on the stock Supermicro X10SDV passive cooling motherboards identical to the heatsink on the stock Supermicro X10SDV active cooling motherboards? I’m my situation, I’ve been looking at the X10SDV-4C-7TP4F motherboard which only comes with passive cooling. Will I be able to use your technique in that article to use the Noctua fan on an X10SDV-4C-7TP4F and get similar cooling results? Ah, nevermind. What confused me is that in the “Near silent…” article, it first mentioned the X10SDV-TLN4F (which is active cooled), but then later in the article it mentions the X10SDV-4C-TLN4F (which is passive cooled), and the photo with the Noctua strapped on it is the latter. So that answers my question: I assume the X10SDV-4C-7TP4F has the same passive heatsink as the X10SDV-4C-TLN4F, so I should be good-to-go with the Noctua NF-A6x25 PWM “strap-on” technique, correct?